Proserv’s asset enhancement global intelligence solution (AEGIS) assists clients with the monitoring of their life of field maintenance progress and asset enhancement, whilst maintaining a high degree of reliability. AEGIS has been designed to shield oil and gas producers from overdue maintenance by providing real-time updates and notifications regarding the service status of platform equipment. It displays the oilfields and platforms, providing detailed information on topside and subsea equipment. 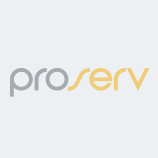 After sales service is provided by Proserv’s team of qualified service technicians. Click here to visit the AEGIS service platform. Real time asset condition data enables fast and effective optimisation and implementation of asset integrity management plans for platform equipment, including wellhead control panels, chemical injection skids, accumulators, emergence shutdown systems etc. We understand the challenges oil and gas industry faces and we are actively working in providing solutions which will assist you with asset management and maintenance.